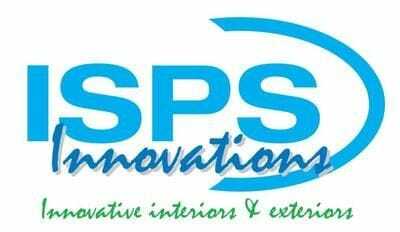 High gloss & satin finish do it yourself splashbacks by ISPS Innovations making you the "DIY Master"
Remedy: Use either mineral turps, wax or grease remover. Apply product to effected area liberally, to remove silicone. When mounting and applying silione to Bonethane or IPA polymer substartes to the wall for good adhesion it is advised to mount sheets to gyprock surface or laminate to fiber cement sheeting. Bricks and concrete are not suitable. So it is important to line your wall if brick or concrete is exposed. The residue should be removed immediately by washing area with warm soapy water. These solvents are available at your local hardware store or your local grocery store. When cleaning only use warm soaked soapy (detergent) sponge in a circular motion. Do not use abrasive sponge ie; scourer to wash.
Bonethane is suitable for bathrooms, Bonethane will not attract mould. To dissolve build up of oils attracted by frequented traffic of showering, commercial plastic cleaner or Bam Degreaser will do the trick. Then apply same method of washing with warm soapy water to rid residue. When rinsing use a towelling cloth and merge into clean warm water & squeeze, wiping the lather off in a downwards motion repeat second or third time, removing excess lather. When drying use a warm damp towelling cloth, do not polish. Bonethane will dry and shine, providing the excess water becomes minimal when wiping down with warm damp towelling cloth. If using cordless equipment ensure batteries are fully charged and blades are suitable and sharp for cutting. Ensure protective film is left on the face of Bonethane whilst installing. When ordering more than one sheet of Bonethane, it is advised to order of same colour batch, this is because of the colour settling process. With simple cleaning of Bonethane polishing is not necessary. To Bring to shine, rinse all soapy residue & wipe Bonethane with damp cloth. Bonethane is designed to air dry & shine. BonethanePremium can be used behind enduction cooktops providing. Suitable clearance is maintained. Do not Allow cooking pots to touch or be placed on Bonethane Premium. For more information contact (08) 8381 8880, or we can custom size, conditions apply. Do not leave very hot items such as. hot pans, hot jugs leaning against Bonethane Premium. This could damage or mark the product. Do not silicone sheets to concrete walls or bricks. Ensure wall is lined first to allow for expanison and contraction. Do not use abrasive cleaners, scourers or scouring compounds, window cleaners, acetone, toluene chloroform, xylene, amyl acetate, dichloromethane, butyl alcohol, butyl acetate, cellusolve, giacial acetate acid, cresols/phenols, halogenated solvents, Ketone (pvc glue) ethylacetate, chlorinated solvents sulphuric acid, MEK methyl alcohol and bleach. Do not apply thinners on the face. Thinners can be applied to edge for polishing, ensuring thinner does not touch the face. In the event of accidental spill, follow the buffing procedure to reverse the process. Do not use big cutting blades, if you decide to use a circular saw, this will chop into the product so use fine teeth. No stopping or starting, process should be continuous. A fine sharp blade should be used, jigsaw is the preferred tool. Remember secure your sheet. Do not place Bonethane in an environment where toxic vapours are releasing as this can be considered an acidic environment. This may happen when coating timber decking, or black tar that may be placed on concrete etc. These applications requiring a time of curing before Bonethane placement. There is no warranty on Bonethane if it is housed in these environments. If you are revarnishing, remove Bonethane from these areas. Do not polish Bonethane with a dry cloth to achieve a shiney surface. Wipe down with warm damp towelling cloth, ensure area is clean first by following our washing steps to achieve an area that will dry & shine. Do not pick a colour from our brochure expecting the colour to be identical. ISPS have no control of paper stock & colour print variations, so in advance variations will occur. Please view our displays or choose a colour match option. Mention this website & we will waive the colour match fee on any flat colour on Bonethane Premium. Do not put acrylic behing any cooktop.